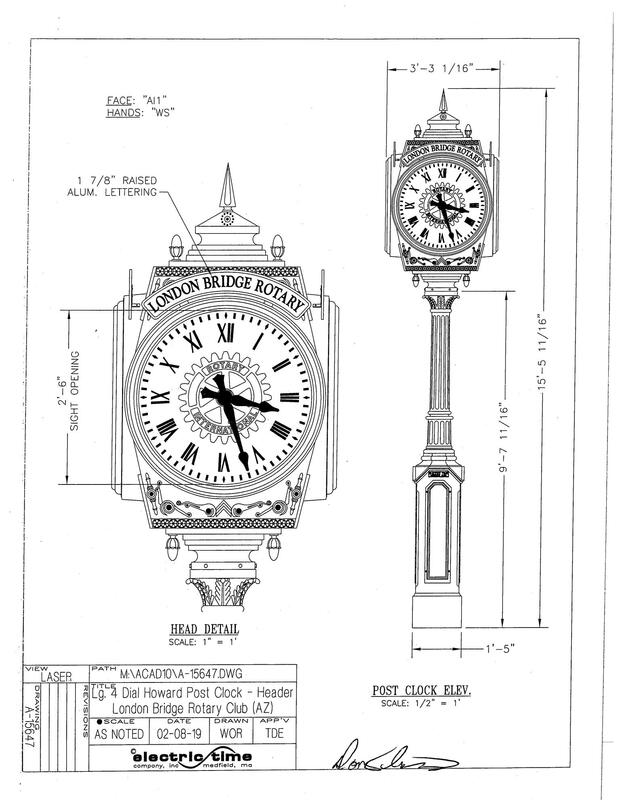 London Bridge Rotary is pleased to announce approval to move forward with the installation of The Rotary Clock. 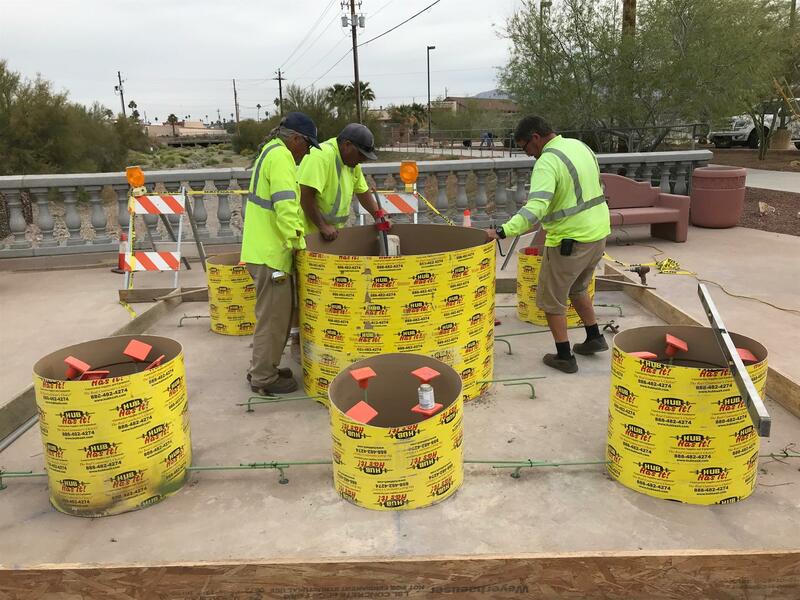 The Rotary Clock will be part of the Pima Wash Bridge recreational area located on McCulloch BLVD. 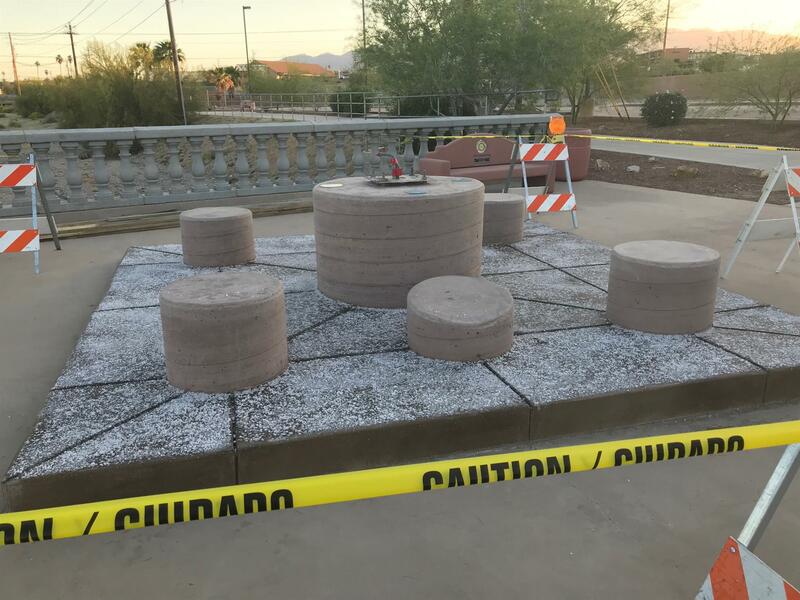 The Pima Wash Bridge recreational area has been a continuing enhancement project of the Sunrise Rotary Club of Lake Havasu City for many years. 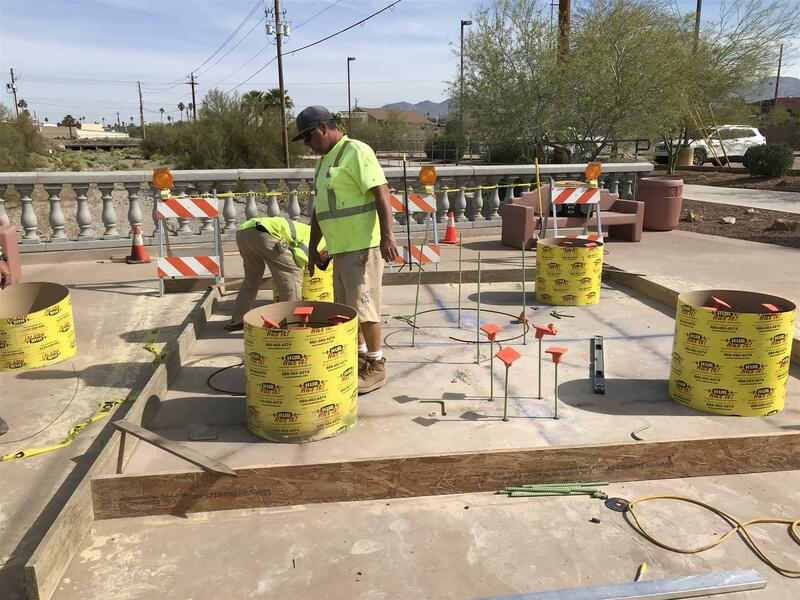 Now with the assistance of the city of Lake Havasu City and London Bridge Rotary there will be more for our community to enjoy in this area. Recently London Bridge Club President recently posted on Facebook, "ABOUT TIME!!! FORMS AND PAD GOING UP FOR ROTARY CLOCK. 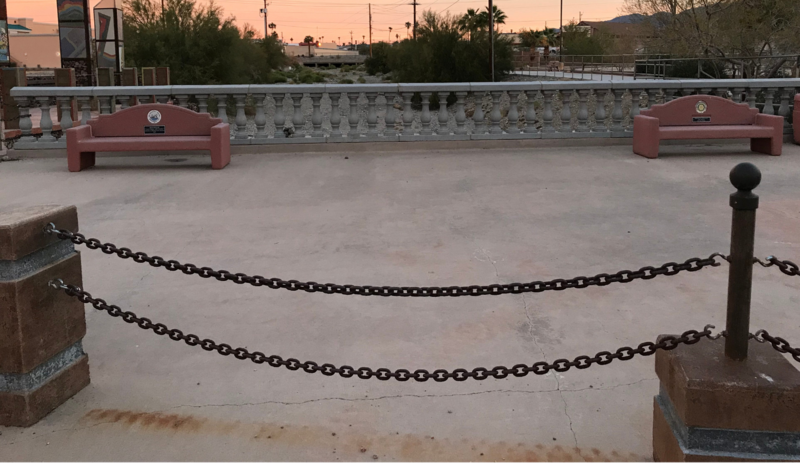 Will have lights embedded in the concrete to light it up in the evening. The face will also light up internally!!! Drive by and watch the progress. 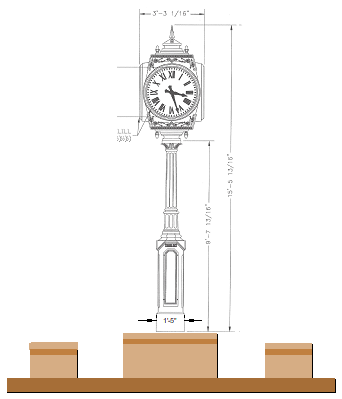 The Rotary Clock should arrive in 4-6 weeks and ready for install shortly after that." The Rotary Clock would not be a reality if it weren't for the perseverance of many people, not just Rotary but in the community as well. Special thanks to Don Klostermeier, Doug Hardy, Mark Clark, Ken Porosky, Mayor Cal Sheehy and many more.